Ride like a sleeping bag! 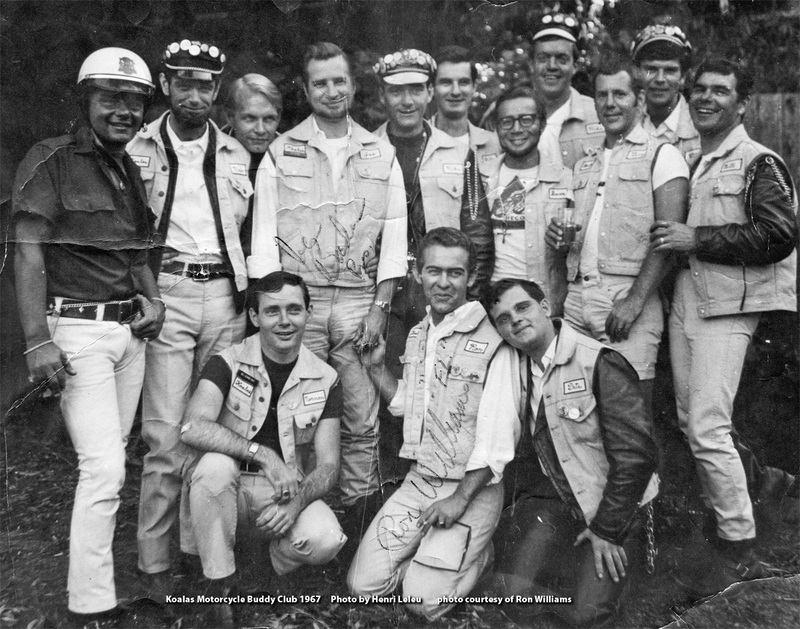 The Koalas were a Gay Motorcycle Buddy Club from the 1960s. The Koalas would hop on behind the gay club bikers and independents. Always on the back, hugging the biker like a koala hugs a eucalyptus tree. And so the name! Peter Fiske is kneeling in the front row, on the right. More on Peter here and here. Photo by Henri Leleu. Koalas Motorcycle Buddy Club, 1967. Via Ron Williams.